Educators can develop a culture of literacy in schools and classrooms that engage students in authentic learning that will make them better readers, writers, thinkers, and problem solvers. When students are engaged in authentic learning activities, explicitly taught and modeled by the teacher, they are carefully reading and rereading with clear purposes, thinking analytically, and evaluating their understanding of texts and ideas orally or in writing. 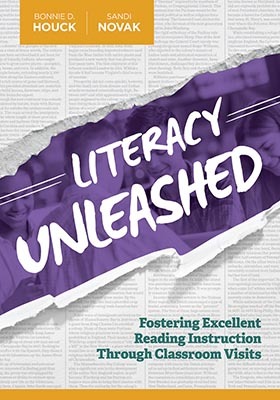 Join Bonnie Houck and Sandi Novak, authors of the ASCD book Literacy Unleashed: Fostering Excellent Reading Instruction Through Classroom Visits, in an engaging webinar where they will introduce the Literacy Classroom Visit instrument and unpack important "look for" elements that teachers need to establish in their classroom to cultivate student independence. Together you will explore the importance of creating an engaging learning environment, how to organize classroom libraries to motivate readers, and why "walls that teach" can support a rich culture of literacy. Bonnie Houck is a consultant, coach, speaker, and trainer who specializes in literacy leadership development and positive school change. Sandi Novak is an education consultant with more than 30 years of experience as an assistant superintendent, principal, curriculum and professional learning director, and teacher. Novak's current work in consulting is focused on leadership and improving students' reading.